MainAll NewsRadioWhy is Sukkot the most joyous time of the year? The Ushpizin: Welcoming the seven holy shepherds into the Sukkah. 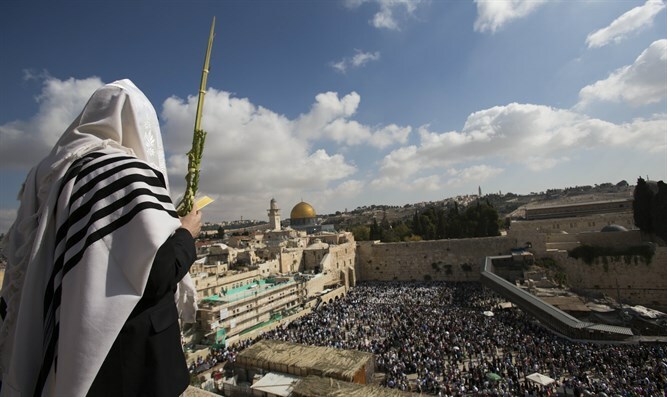 Fresh from the high holy days and our rendezvous with the King, the nation of Israel prepares to celebrate the festival of Sukkot, called "the time of our joy." What is the secret of Sukkot and why is it considered to be the most joyous festival of year? Why did the spirit of prophecy descend on the entire nation of Israel during the famed "Festival of the Water Libation" in Temple times? Tune into this week's Temple Talk as Yitzchak Reuven and Rabbi Chaim Richman present a deluxe Sukkot special.